This fitted and elastic edge vinyl tablecloth was designed to be a favorite for your busy home or restaurant. The Whimsy Vinyl Flannel Back Tablecloth features a soft texture creating a subtle visual dimensional look. Fitted Elasticized Table cover stretches to fit oblong/rectangular or round tables. The cover is designed to fit and cover your entire table without any wrinkles and overhanging fabric. Perfect for Indoor and Outdoor use. Designed for use on any table inside or outside of your home, from your kitchen to your patio. Protects your table surface from stains, spills, scratches and wear. Easily covers any worn or dated table. Great for playing cards, Ma Jong and table games. Can be used with an umbrella (at your own discretion and risk and will void any warranties) when you cut a hole over the umbrella location. Simply make a small X with a razor knife and slip in your umbrella. Great for use with adults and children at home or in commercial settings. Perfect for decorating and keeping your table protected from everyday accidents. Like plastic, the easy-care surface can be wiped clean with a damp cloth or sponge. Vinyl top layer adds a protective waterproof layer. Flannel backed to reduce skidding and slipping on most surfaces. Finished with sewn edges. Easy to fold and store when not in use. Great for indoor, outdoor, home, and commercial use alike. Our Solid Color Vinyl Fitted Flannel Backed tablecloths are available in a large selection of sizes and shapes for all of your entertaining needs. 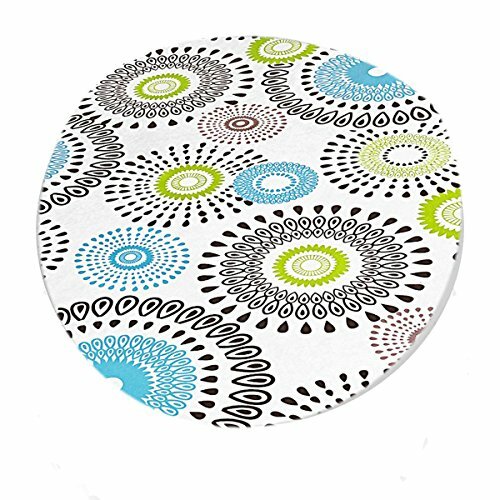 Sizes available are: Fitted 48 Inch Round (fits Table up to 42" Round), Fitted 60 Inch Round (fits Table up to 52 Round), Fitted 48 Inch x 72 Inch Oblong (Fits tables up to 40 Inch Wide x 64" Long). Colors available are White, Ivory, Sage Green and Slate Blue . If you have any questions about this product by Home Bargains Plus, contact us by completing and submitting the form below. If you are looking for a specif part number, please include it with your message.